Advances in neuroscience research are rapidly bringing new and complex issues to the forefront of medical and social ethics, and scholars from diverse fields have been coming together to debate the issues at stake. Acclaimed science writer Sandra Ackerman witnessed one such gathering, and here she skillfully synthesizes those proceedings into a concise presentation of the challenges that neuroscience and neuroethics currently face. Top scholars and scientists in neuroscience and ethics convened at the Library of Congress in Washington, D.C., in May 2005. They included Michael Gazzaniga, director of the Center for Cognitive Neuroscience at Dartmouth College; Marcus Raichle of the Washington University School of Medicine in St. Louis; Harvard University provost Steven Hyman; Judy Illes, cofounder of the Stanford Brain Research Center; University of Virginia bioethicist Jonathan Moreno; Stacey Tovino of the Health Law and Policy Institute at the University of Houston Law Center; and Stanford law professor Hank Greely. Ackerman weaves the invigorating arguments and discussions among these and other prominent scholars into a seamless and dynamic narrative. She reveals the wide array of issues that have emerged from recent research, including brain imaging, free will and personal responsibility, disease diagnosis and prediction, brain enhancement, and the potential social, political, and legal ramifications of new discoveries. Translating these complex arguments into an engrossing account of neuroethics, she offers a rare view of science—and ethics—in the making. Michelangelo was raised in a rustic village by a family of modest means. Shakespeare's father was a middle-class businessman. Abraham Lincoln came from a family of itinerant farmers. Yet all these men broke free from their limited circumstances and achieved brilliant careers as creative artists and leaders. How such extraordinary creativity develops in the human brain is the subject of renowned psychiatrist Nancy Andreasen's The Creating Brain. Andreasen explains here how the brain produces creative breakthroughs in art, literature, and science, revealing that creativity is not the same thing as intelligence. She scrutinizes the complex factors involved in the development of creativity, including the role of patrons and mentors, "non-standard" educations, and the possession of an "omnivorous" vision. A fascinating interview with acclaimed playwright Neil Simon sheds further light on the creative process.The relationship between genius and insanity also plays an important role in Andreasen's examination. 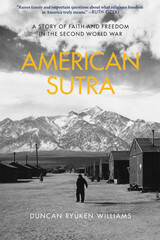 Drawing on her studies of writers in the Iowa Writers' Workshop and other scientific evidence, Andreasen asserts that while creativity may sometimes be linked to mental disorders and may be partially due to familial/genetic factors, neither is inevitable nor needed for creativity to flourish. Scientist's increasing understanding of the brain's plasticity suggests even more possibilities for nurturing the creative drive, and Andreasen looks ahead to exciting implications for child-rearing and education. The Creating Brain presents an inspiring vision for a future where everyone—not just artists or writers—can fulfill their creative capacity. We hear about a woman with an artificial arm controlled by her mind, read stories about the creative potential of “right-brain” and “left-brain” people, and watch science fiction films featuring characters with implanted mind chips. Yet few of us understand the science behind these and other visionary advances being made today in brain research. Leading neuroscientists and scholars have charted the stream of new findings in Scientific American and Scientific American Mind, and their articles from the past eight years, compiled here in a comprehensive volume, offer diverse and provocative perspectives on various cutting-edge brain science projects. Scientific American, the oldest continuously published magazine in the United States, has long been the standard bearer of science journalism, and the brain science articles published in its pages offer unparalleled insights into the world of neuroscience. The expert articles assembled here, divided into three sections, reveal the latest developments of brain research in a compelling and wholly readable fashion and explore the range of fields and topics now included under the umbrella of neuroscience. Consciousness and creativity are the focus of the “Mind” section, which features such compelling essays as science writer Carl Zimmer’s examination of how the brain creates a sense of self. Steven E. Hyman, Harvard Provost and former director of the National Institute of Mental Health, proposes new ways of diagnosing psychiatric disorders in “Matter,” a section that also features articles on psychological disorders, addictions, and other topics related to the interaction between body and brain. And “Tomorrow’s Brain” reveals the intriguing future potential of man-machine interactions, as well as pioneering new methods of brain treatment. Eminent neuroscientist Floyd E. Bloom also contributes an engaging introduction that situates these pieces on the front lines of brain research. In today’s technologically driven world, our lives are changing faster than ever, and neuroscience is becoming an integral part of that transformation. Best of the Brain from Scientific American gathers the very best writings on this sea change, providing an invaluable guide to the exhilarating possibilities of neuroscience. A child crashes to the ground from the monkey bars head-first. A high school student prepares for months to take the SAT. A grandmother slowly slips away from her family through the deadly progression of Alzheimer’s Disease. Whether we realize it or not, the importance of brain health to our daily lives goes far beyond just being able to walk and talk. The Dana Guide to Brain Health offers the first comprehensive home medical reference book on the brain, providing an unparalleled, authoritative guide to improving the fitness of our brains and, ultimately, enriching our lives. With contributions from over one hundred of the most prominent scientists and clinicians in the United States, The Dana Guide to Brain Health is an extensive and wholly accessible manual on the workings of the human brain. This richly illustrated volume contains a wealth of facts and advice, on simple yet effective ways to take care of our brains; the intimate connection between brain health and body health; brain development from the prenatal period through adulthood; and how we learn, remember, and imagine. The brain is far too important to be excluded any longer from our daily health concerns. The Dana Guide to Brain Health remedies this oversight with a clearly written, definitive map to our brains that reveals how we can take care of them in order to sustain a long and rich life. Even in this information age, it is a daunting task to find clear, concise, and credible sources for essential medical facts. And for those dealing with the symptoms of often serious neurological disorders, finding trustworthy and straightforward information is gravely important. Treating the Brain is precisely what has been missing for non-specialists. Focusing on the most common neurological conditions, it provides accurate, reliable information to patients, caregivers, and health practitioners from the neurologist whose professional text informs neurologists worldwide.. Walter G. Bradley, one of the nation’s foremost neurologists and the editor of the leading neurology textbook Neurology in Clinical Practice, navigates the complexities of the brain in highly accessible language. Treating the Brain is the definitive resource for patients, offering a coherent and up-to-date understanding of what physicians know about the brain. In the United States alone, one-quarter of all new consultations between patients and their family physician is a result of a neurological problem. Using case histories as examples, Treating the Brain explains the neurological examinations and tests and clinical features, causes, and treatments available for Alzheimer’s disease, migraines, stroke, epilepsy, Parkinson’s and other frequently diagnosed neurological disorders. For anyone who has ever had a neurological symptom, from a headache to tingling hands, and for anyone with a personal interest in how the brain works in health and disease, Treating the Brain will prove to be a valuable, easy-to-read source of a wide-range of information. New advances in brain science will directly affect our lives, from the courtroom to the classroom to the living room. 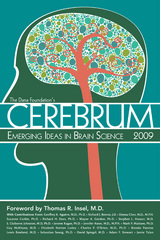 Cerebrum has long been the leading magazine for distilling these developments into concise, intelligent prose accessible to a general reader; as a result, its articles by scientists and scholars are often cited in prominent publications such as the Wall Street Journal, Boston Globe,andthe Washington Post. Assembled here is a new array of articles from Cerebrum’sWeb edition that collects the most cutting-edge developments in brain science in one essential volume. The featured articles offer thought-provoking analyses and expert perspectives on such topics as the causes and effects of identity disorder, the dangers of unidentified traumatic brain injury, and explanations for why the mind is sometimes foggy after heart surgery. Other timely articles explore the brain and politics, conflicts of interest in science, the use of the technology to map brain connections, and the pros and cons of screening for childhood disorders. Top scientists and scholars—including neuroscientist Guy McKhann, computational neuroscientist Sebastian Seung, developmental psychologist Jerome Kagan, and neurologist Stephen L. Hauser—clearly and concisely explain these and many other exciting and pertinent developments. In addition, the foreword by Thomas R. Insel, M.D., director of the National Institute of Mental Health, offers a fascinating way of conceptualizing psychological disorders as disorders of the brain. An absorbing and readable compendium, Cerebrum 2009 provides vital insight into the cognitive human condition and shows how advances in medicine and neuroscience can help us lead longer, healthier lives. 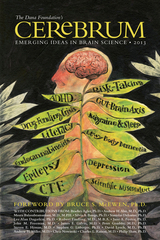 In this fifth annual edition, drawn from Cerebrum’s highly regarded Web edition, some of the foremost experts in brain science present their research—and their take—on issues that capture the harmony as well as the discord in the complex and evolving relationship between neuroscience and society. Bruce S. McEwen, Ph.D., the Alfred E. Mirsky Professor and head of the Harold and Margaret Milliken Hatch Laboratory of Neuroendocrinology at the Rockefeller University, provides an insightful perspective on the impact of neuroscience on his career, and also the issues that especially resonated with him in the anthology’s articles. Cerebrum 2010 offers a feast for readers keen to know what the world’s leading thinkers see as the newest ideas and implications arising from discoveries about the brain. Drawn from Cerebrum’s highly regarded Web edition, this fourth annual collection brings together the foremost experts in brain science. Jay Giedd, Michael Posner, Mariale Hardiman, David Kupfer and Paul McHugh present their research—and their take—on such cutting-edge topics as the development of the teen brain, how arts education affects intelligence, the limitations of brain imaging, and how to bring more certainty and flexibility to diagnosis in the next edition of the psychiatric bible, the Diagnostic and Statistical Manual of Mental Disorders (DSM-V). Benjamin S. Carson Sr., director of pediatric neurosurgery at Johns Hopkins Children’s Center and a professor of neurological surgery, oncology, plastic surgery and pediatrics at the Johns Hopkins Medical Institutions, provides an insightful perspective on the impact of neuroscience on his career, the well-being of patients, and the understanding of how the mind works. Cerebrum 2010 presents candid, intriguing debates that capture the harmony as well as the discord in the complex and evolving relationship between neuroscience and society. How can discoveries in neuroscience influence America’s criminal justice system? Neuroscience and the Law examines the growing involvement of neuroscience in legal proceedings and considers how scientific advances challenge our existing concepts of justice. 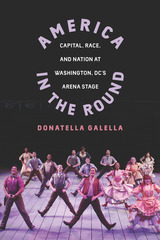 Based on an invitational meeting convened by the Dana Foundation and the American Association for the Advancement of Science, the book opens with the deliberations of the twenty-six scientists and legal scholars who attended the conference and concludes with the commissioned papers of four distinguished scholars in law and brain research. Will increased scientific understanding of our brains overturn our beliefs about moral and ethical behavior? How will increasingly powerful brain imaging technologies affect the ideas of privacy and of self-incrimination? Such thought-provoking questions are rapidly emerging as new discoveries in neuroscience have raised difficult legal and ethical dilemmas. Michael Gazzaniga, widely considered to be the father of cognitive neuroscience, investigates with an expert eye some of these controversial and complex issues in The Ethical Brain. 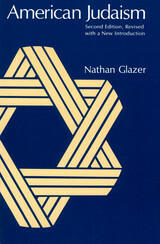 He first examines "lifespan neuroethics" and considers how brain development defines human life, from when an embryo develops a brain and could be considered "one of us" to the issues raised as the brain ages, such as whether we should have complete freedom to extend our lives and enhance our brains through the use of genetics, pharmaceuticals, and training. Gazzaniga also considers the challenges posed to the justice system by new discoveries in neuroscience. Recent findings suggest that our brain has already made a decision before we become fully aware of doing so, raising the question of whether the concept of personal responsibility can remain a fundamental tenet of the law. Gazzaniga argues that as neuroscience learns more about the unreliability of human memory, the very foundation of trial law will be challenged. Gazzaniga then discusses a radical re-evaluation of the nature of moral belief, as he not only looks at possibly manipulating the part of the brain that creates beliefs but also explores how scientific research is building a brain-based account of moral reasoning. The Ethical Brain is a groundbreaking volume that presents neuroscience's loaded findings—and their ethical implications—in an engaging and readable manner, offering an incisive and thoughtful analysis of the medical ethics challenges confronting modern society at the dawn of the twenty-first century. Where is the line between instinct and free will in humans? How far can technology and medicine go to manipulate the brain? With every new discovery about the human mind, more and more questions emerge about the boundaries of consciousness, responsibility, and how far neuroscience research can go. The fledgling field of neuroethics has sought answers to these questions since the first formal neuroethics conference was held in 2002. 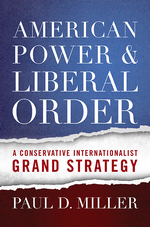 This groundbreaking volume collects the expert and authoritative writings published since then that have laid the groundwork for this rapidly expanding debate. Defining Right and Wrong in Brain Science traverses the breadth of neuroethics, exploring six broad areas—including free will, moral responsibility, and legal responsibility; psychopharmacology; and brain injury and brain death—in thirty provocative articles. The scientific and ethical consequences of neuroscience research and technology are plumbed by leading thinkers and scientists, from Antonio Damasio’s “The Neural Basics of Social Behavior: Ethical Implications” to “Monitoring and Manipulating Brain Function” by Martha J. Farah and Paul Root Wolpe. These and other in-depth chapters articulate the thought-provoking questions that emerge with every new scientific discovery and propose solutions that mediate between the freedom of scientific endeavor and the boundaries of ethical responsibility. As science races toward a future that is marked by startling new possibilities for our bodies and minds, Defining Right and Wrong in Brain Science is the definitive assessment of the ethical criteria guiding neuroscientists today. White Sox fans were overcome with euphoria when their beloved team won after eighty-eight years of failure, and the long-suffering Red Sox Nation finally received their vindication in 2004. Now the Cubs are the only “cursed” team left: The team has repeatedly made the playoffs without ever winning the World Series for the last ninety-nine years, and yet thousands who bleed Cubbie blue pack Wrigley Field for every game. The reasons why ardent sports fans in Chicago and around the world buy expensive game tickets and memorabilia, fill stadiums, and live and die by their team’s fortunes is the subject of Your Brain on Cubs, an engaging study that delves into why sports engender such passionate emotions in us all. A group of today’s leading science writers and neuroscientists explore here the ways that our brain functions when we participate in sports as fans, athletes, and coaches, taking baseball as the quintessential sport for all three perspectives. The contributors tackle such questions as: How does a player hit a ninety-mile-per-hour fastball when he barely has time to visually register it? Why do fans remain devotedly loyal year after year? And what allows them to believe in superstitions, such as a curse? Other topics investigated in the book include how a ballplayer’s brain changes as he gains experience and expertise, why there are a higher percentage of left-handers in the major leagues compared to the general population, and the ethical implications of neurological performance enhancement. An expertly written and thought-provoking read, Your Brain on Cubs challenges us to reevaluate the nature of the sports fan and the athlete, revealing the scientific complexity underlying the seemingly black-and-white world of wins and losses. A North Carolina woman dies of a flesh-eating bacterial disease. Thousands of people in West Africa are suffering from cholera. And antibiotics are rapidly becoming less and less effective at fighting what were once mild infections. The biggest threat to the future of human society may not be terrorist attacks or nuclear war, but rather microscopic bacteria. Immunologist Norbert Gualde explains in Resistance the dangers we face from bacterial resistance, asserting that we must confront the reality awaiting us--the next fatal plague may occur sooner than we think. Over the course of the twentieth century, incredible advances in medicine inspired a utopian belief among many that all common infectious diseases would eventually be eradicated. But Resistance shows that this dream is an impossible one. The book’s riveting narrative reveals how new infectious agents and diseases are being discovered every day and how bacteria previously thought to have been destroyed are returning with a vengeance. Drawing upon the history of past epidemics, Gualde explores how new outbreaks might be predicted and controlled. He also investigates the potentially devastating social and political impact of such public health disasters, particularly in underdeveloped countries in the southern hemisphere. He ultimately argues that the constant interaction between man and microorganisms will inevitably catalyze future epidemics similar to the horrific ones of centuries past. Global outbreak monitoring and medical research on the human body’s immune system are beginning to produce effective strategies against bacterial resistance. But the most important weapon is awareness of the crisis, and this engrossing and brilliantly translated study will serve as a wake-up call for us all. The social and cognitive development of children is a complex yet crucial process for parents to understand, and though there are numerous books on child development, A Good Start in Life stands out from the rest as an acclaimed and important work on the connections between childhood brain and behavioral development. This new paperback edition, updated with the latest information and new material, offers parents and educators a rich and invaluable resource on how children learn to live in family and society from birth to age six. Norbert Herschkowitz, MD, and his wife Elinore Chapman Herschkowitz draw on their lifetime of experience in studying infants and children to explain how brain development shapes a child’s personality and behavior. Organizing their narrative by age, the authors examine a wide range of social development issues, from appropriate rule-setting to the development of key character elements in a child such as moral sensibility, temperament, language development, playing, aggression, impulse control, and empathy. 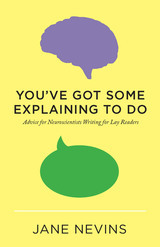 Some of the most popular features of the hardcover edition are retained here, including the question-and-answer section that concludes each chapter with real questions posed by parents to Dr. Herschkowitz, as well as brain maps and charts that display milestones in the development of various skills. Additional new material addresses concerns about prematurely born babies and the issue of resilience in children. In today’s world, children grow up in an incredibly complex and highly sensory environment. A Good Start in Life offers a clear, concise, and richly detailed guide infused with warmth and encouragement that enables parents and educators to constructively stimulate and shape their children’s cognitive and social development. Temperament is the single most pervasive aspect of us and our fellow human beings. We notice it; we gossip about it; we make judgments based on it; we unconsciously shape our lives around it. In The Temperamental Thread, developmental psychologist Jerome Kagan draws on decades of research to describe the nature of temperament—the in-born traits that underlie our responses to experience. Along the way he answers such questions as, How does the temperament we are born with affect the rest of our lives? Are we set at birth on an irrevocable path of optimism or pessimism? Must a fussy baby always become an anxious adult? Kagan paints a picture of temperament as a thread that, when woven with those of life experiences, forms the whole cloth of an individual’s personality. He presents solid evidence to show how genes, gender, culture, and chance interact with temperament and influence a mature personality. He explains how temperament sets the stage for the many personality variations that we see all around us. Research into temperament, powered by the new tools of neuroscience and psychological science, is enriching our understanding of others in every context, from our closest relationships to those in workplaces, schools, and even casual encounters. Jerome Kagan shows us how. New advances are being made in brain science today that will directly affect each of our lives, from the courtroom to the classroom to the living room. Cerebrum has long been the leading journal in distilling these developments in neuroscience for the general reader, and its articles by leading scientists and scholars are cited in such prominent publications as the Wall Street Journal, Boston Globe, and Washington Post. Collected here are over a dozen articles and book reviews from the journal’s online edition about the latest developments in brain science. The featured articles offer thought-provoking analyses of the human brain and its untapped possibilities, touching on topics as diverse as the neurological basis for a belief in the supernatural, the use of drugs to alter traumatic memories, and the biological nature of ethical behavior. Top scientists and scholars—including neurologist Dr. Kathleen Foley, of Memorial Sloan-Kettering Cancer Center; Henry T. Greely, bioethicist and Stanford University professor of law; and Dr. Judith L. Rapoport, chief of the child psychiatry branch at the National Institute of Mental Health— clearly and concisely explain these and many other exciting developments on the horizon. An engaging and wholly readable compendium, Cerebrum 2007 is essential for all those interested in the cutting edge of brain research and what it holds for the future of humanity. The End of Stress as We Know It provides readers with the "gold standard" in understanding how their bodies work under stress and why they have the power to avoid its debilitating effects. Bruce McEwen, Ph.D., one of the world's authorities on the subject of stress, here provides unshakable evidence of how mind and body work together either for good or for ill when we are challenged by life's events. Describing the subtle damage that comes from failing to turn off the body's danger alert system, Dr. McEwen shows how chemicals activated during stressful situations can protect the body under acute conditions, and how, when chronically activated, they can cause long-lasting harm. He counsels that many stress management programs can help us, if we understand the powerful mind-body forces activated by stress. The premise of this book is that knowledge is power. By learning how the body reacts to large and small challenges in our lives, by understanding how we put ourselves in situations that cause upheaval in our minds and bodies, we can make the best choices--backed up by the latest scientific knowledge. In the 1990s a disturbing trend emerged in psychotherapy: patients began accusing their parents and other close relatives of sexual abuse, as a result of false “recovered memories” urged onto them by therapists practicing new methods of treatment. The subsequent loss of public confidence in psychotherapy was devastating to psychiatrist Paul R. McHugh, and with Try to Remember, he looks at what went wrong and describes what must be done to restore psychotherapy to a more honored and useful place in therapeutic treatment. In this thought-provoking account, McHugh explains why trendy diagnoses and misguided treatments have repeatedly taken over psychotherapy. He recounts his participation in court battles that erupted over diagnoses of recovered memories and the frequent companion diagnoses of multiple-personality disorders. He also warns that diagnoses of post-traumatic stress disorder today may be perpetuating a similar misdirection, thus exacerbating the patients’ suffering. He argues that both the public and psychiatric professionals must raise their standards for psychotherapy, in order to ensure that the incorrect designation of memory as the root cause of disorders does not occur again. Psychotherapy, McHugh ultimately shows, is a valuable healing method—and at the very least an important adjunct treatment—to the numerous psychopharmaceuticals that flood the drug market today. An urgent call to arms for patients and therapists alike, Try to Remember delineates the difference between good and bad psychiatry and challenges us to reconsider psychotherapy as the most effective way to heal troubled minds. In his fascinating new book, Jonathan D. Moreno investigates the deeply intertwined worlds of cutting-edge brain science, U.S. defense agencies, and a volatile geopolitical landscape where a nation's weaponry must go far beyond bombs and men. The first-ever exploration of the connections between national security and brain research, Mind Wars: Brain Research and National Defense reveals how many questions crowd this gray intersection of science and government and urges us to begin to answer them. From neuropharmacology to neural imaging to brain-machine interface devices that relay images and sounds between human brains and machines, Moreno shows how national security entities seek to harness the human nervous system in a multitude of ways as a potent weapon against the enemy soldier. Moreno charts such projects as monkeys moving robotic arms with their minds, technology to read the brain’s thought patterns at a distance, the development of "anti-sleep" drugs to enhance soldiers’ battle performance and others to dampen their emotional reactions to the violence, and advances that could open the door to "neuroweapons"—virus-transported molecules to addle the brain. "As new kinds of weapons are added to the arsenal already at the disposal of fallible human leaders," Moreno writes, "we need to find new ways to address the problem"--of the ethical military application of so powerful and intimate a science. 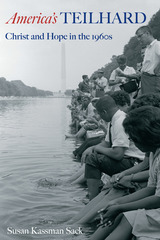 This book is the first step in confronting the quandaries inherent in this partnership of government and neuroscience, serves as a compelling wake-up call for scientists and citizens, and suggests that, with imagination, we might meet the needs of both security and civil liberty. "No one is better at helping one learn to write for the non-professional public, as I can personally testify, than Jane Nevins. "-Nobel laureate Eric R. Kandel, M.D., Director, Kavli Institute for Brain Science, Columbia University College of Physicians and Scientists. A Well-Tempered Mind investigates the intriguing connection between music education and brain development in children. Peter Perret and Janet Fox use the details of an innovative music education program for elementary school students to explore this fascinating relationship. A Well-Tempered Mind describes how the students of Bolton Elementary in Winston-Salem, North Carolina, and a local quintet worked together and then explains the ongoing research that focuses on how music engages the brain’s cognitive capabilities, from memory and language to emotional processing. Music, A Well-Tempered Mind reveals, is a universal language that expands young minds in essential ways. There are disorders that defy treatment with prescribed pharmaceuticals: a man’s hands shake so hard that he cannot hold anything; a woman is mired in severe inescapable depression. For these patients and others, an alternative is emerging: deep brain stimulation. In this fascinating and timely investigation, well-known science writer Jamie Talan explains a cutting-edge medical development that is surprising and impressing researchers around the world. 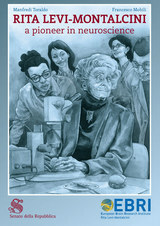 Originally written in Italian and now available in English (PDF), this graphic novel celebrates the life and work of neuroscientist Rita Levi-Montalcini, who won the Nobel Prize in Physiology or Medicine for her "discovery of nerve growth factor" in 1986. Severe sepsis, a critical illness that most often afflicts victims of initially nonfatal illnesses or injuries, is the third-most-common killer in the United States. In Fatal Sequence, neurosurgeon, immunologist, and clinical investigator Kevin J. Tracey offers a chronicle both scientific and human, using cases he personally experienced to illustrate the clinical nightmare of organ failure that typifies the disease. In clear, accessible language, Tracey explains how the brain, which normally restrains the immune system and protects the patient, can fail during severe sepsis—allowing the immune system to indiscriminately kill normal cells along with foreign microbes. Fatal Sequence is a compelling documentation of an all-too-common situation: doctors fighting to prevent patients’ deaths at the hands of complications from injuries and illnesses that should never be fatal in the first place. New advances are being made in brain science today that will directly affect our lives, from the courtroom to the classroom to the living room. Cerebrum has long been the leading journal in distilling these developments in neuroscience for the general reader, and its articles by leading scientists and scholars are cited in such prominent publications as the Wall Street Journal, Boston Globe, and Washington Post. Now collected here is the second anthology of articles from Cerebrum’s Web edition about the latest developments in brain science. The featured articles offer thought-provoking analyses of the human brain and its untapped possibilities, touching on topics as diverse as how discoveries in brain science can help us design better the best nursing facilities for patients with Alzheimer’s disease, the risks and rewards of new drugs based on living cells, why remembering our past is essential to planning the future, and when we can and should use drugs to control our emotional lives. Top scientists and scholars—including acclaimed science writer Carl Zimmer, psychiatrist Paul M. McHugh, neurologist Michael Selzer, and neurobiologist Vivan Teichberg—clearly and concisely explain these and many other exciting developments on the horizon. An engaging and wholly readable compendium, Cerebrum 2008 is essential for all those interested in the cutting edge of brain research and what it holds for the future of humanity.